AQMLM is a personal initiative of Dr Jonathan Middle, Dr Richard Daw and Alan Dench, arising out of their careers in specialist areas of quality management in laboratory medicine and as an extension to their development of the West Midlands Clinical Laboratory Quality Management Association. These individuals will direct AQMLM with the assistance of others co-opted from the membership who are strongly committed to the aims and objectives of AQMLM. We are enormously grateful for David's support and encouragement during his time with us and wish him a very happy retrirement. Richard and Alan were founder members of AQMLM and helped ensure its success. Alan also served as Treasurer. Derek came to us a little later, but his energy and enthusiasm have made an impact. Mark came to us first as West Midlands Regional Representative before coming a full Director. Mike is the immediate Past President of the Association for Clinical Biochemistry and Laboratory Medicine, his two-year term having ended in April 2013. He has previously served the ACB as both Assistant Secretary and Secretary and was Chairman of the Local Organising Committee for Focus 2011 held at ExCel in London Docklands. He was elected Member at Large to the IFCC Executive Board in January 2006 and currently leads a Special Project tasked with developing quality competence in medical laboratories in emergent countries (DQCML). He is also a member of the IFCC Nominations Committee. Recently retired (2010) Consultant Clinical Scientist University Hospitals Birmingham NHS Foundation Trust, Organiser UK NEQAS for Steroid Hormones and UK NEQAS for Glycated Haemoglobins, Quality Manager for Birmingham Quality (UK NEQAS Birmingham); founder member and webmaster for the West Midlands Clinical Laboratory Quality Managers Association; Chairman (1998-2001) UK NEQAS Executive Committee; Chairman EQAS Participants Meeting Charity; past member IFCC Committee on Traceability; past member ACB National Audit Committee; past member CLIS sub-committee on evaluation of trueness and imprecision; past member JCTLM review team; recently retired ACB West Midlands Meetings Secretary. Jonathan began professional life as a research tumour immunologist, then moved into NHS clinical biochemistry in 1980. After seven years as a practising routine clinical biochemist, he became an EQA Organiser in 1987 and has been actively involved in this work at the highest level for over 20 years. Jonathan is passionate about accurate measurement and metrological traceability, and in the education of all laboratory professionals in quality matters. In 2012 he was elected Fellow of the ACB and in January 2014 listed by the Science Council as one of the top 100 UK practising scientists. He is now a STEM Ambassador, going into Schools to help inspire young people to consider science as a career. "Quality Management is not just about quality systems and CPA accreditation. In laboratory medicine there is a pre-eminent moral and professional imperative to produce accurate results which are comparable wherever they are produced. This objective has not been achieved in many analytical areas, and must be focussed on with equal vigour by all involved. Jayne has worked as a quality manager in both the private sector and NHS since 2003. She is currently working as a pathology quality manager at Whittington Health, London and has responsibilities for point of care testing, risk management and clinical governance. Jayne did her multidisciplinary training in Canada and has worked mainly in clinical biochemistry before moving onto quality management. Dipa has worked as a Blood Transfusion Quality Manager for Coventry and Warwickshire Pathology Services (CWPS) since June 2010. CWPS is one of only three Pathology Networks in England and has been established since 2008. It provides Pathology services for University Hospitals Coventry and Warwickshire NHS Trust (UHCW), George Eliot NHS Trust, South Warwickshire Foundation Trust and Burton Hospital Foundation Trust. Her role in Blood Transfusion across this network was the first of its kind in this organisation and over the past four and half years Dipa has successfully made the Quality Management System (QMS) the framework of the service. She established and chairs the CWPS Network Quality Committee which promotes the highest quality and consistency in practice and offers support and guidance across the network. Dipa is responsible for overseeing the implementation of policies and procedures across the separate NHS Trusts with the regular review of guidelines recommended for Blood Transfusion. "Pathology is a vital service for patient care but laboratory staff are not directly patient facing and my aim is to continually keep staff thinking about the patient experience. I am very keen to be part of an organisation which can lead, influence and shape the future of quality within Pathology. As a quality manager in a discipline which is non-numerical, I am interested to see how my role within AQMLM might develop." After training as a grade A clinical biochemist at Guy's and St Thomas' Hospitals, Gwen was appointed in May 1999 as a senior clinical biochemist at the Royal Surrey County Hospital and promoted in 2005 from Principal to Consultant Clinical Scientist in Partnership Pathology services; a joint venture between the Royal Surrey County and Frimley Park Hospitals. Gwen is Director of the Supra-Regional Assay Service (SAS) Peptide Hormone laboratory. 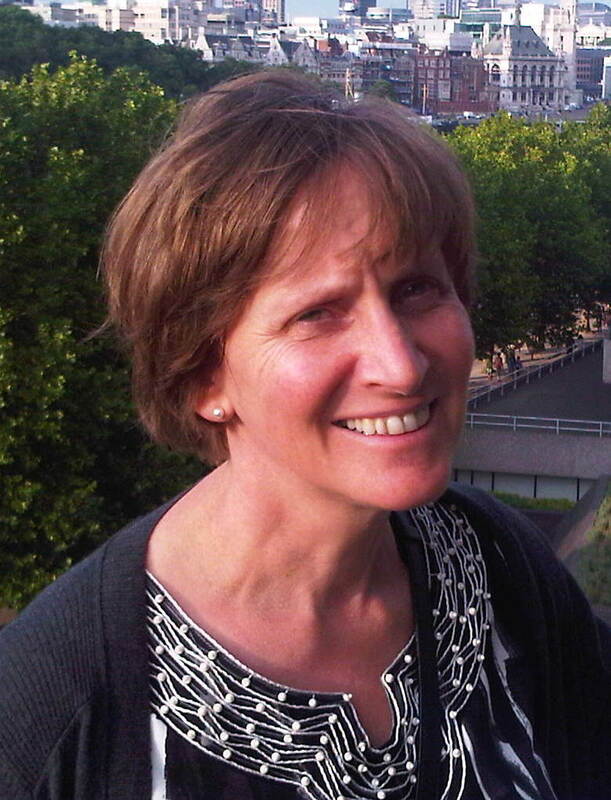 Since 2002, she has been Scheme Organiser of the UK NEQAS Guildford Peptide Hormone Scheme and is actively promoting the development of reference methods/measurement systems for the hormones in the Scheme and educating others about the importance of accurate analytical measurements. Katy has worked as Pathology Quality Manager for the Royal Wolverhampton NHS Trust Pathology Services since August 2010, where she also looks after the phlebotomy services for the acute Trust. She successfully managed the implementation and maintenance of the ISO15189 standard. Katy started her training in Microbiology in 1998. 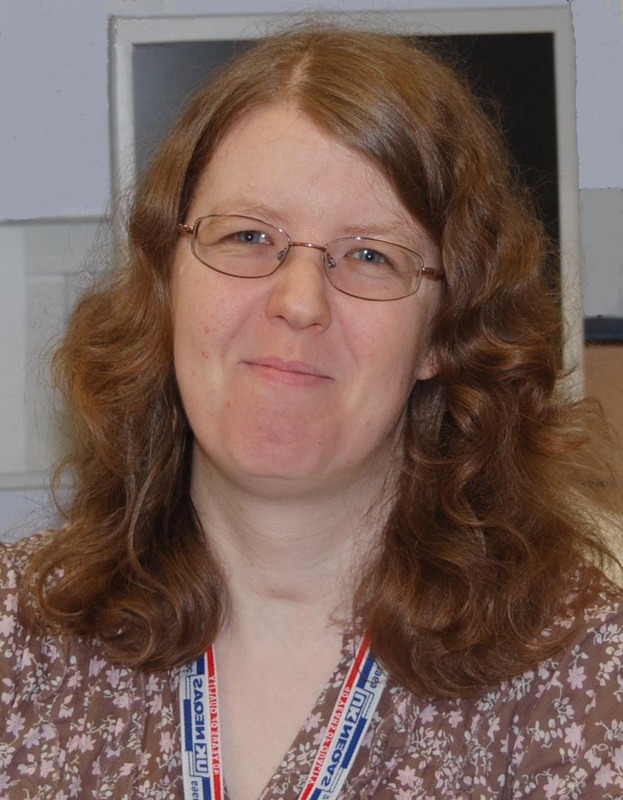 She is also a committee member of the West Midlands Clinical Laboratory Quality Managers' Association. Julie has worked at City Hospital in Birmingham (now part of Sandwell and West Birmingham NHS Trust) since leaving school in 1976. After training as a “laboratory technician” she worked in Clinical Biochemistry, gaining a senior BMS role and eventually being appointed as pan-Pathology Quality Manager around 12 years ago. After several years of working with CPA standards, she has helped the laboratory to become familiar with ISO 15189 and likes to think that at least some staff understand its requirements. Gary is a member of the IBMS Cytopathology specialist advisory panel and has gained experience in organising speakers for the IBMS Congress, reviewing IBMS publications and developing the new IBMS Cytology/Pathology training portfolio. He spent 4 years as a committee member for the IBMS West of Scotland Pathology discussion group, organising speakers, communicating with IBMS members, designing and distributing flyers and organising venues and catering. While working in Cytology he was the facilitator for the Scottish, Ireland and Northern Ireland non- gynae EQA scheme (STEQA). This involved administration duties for the scheme, distributing requests for submission, organising assessors for the assessment day, training assessors and distributing the results to the scheme members. "The skills and knowledge I have gained from my roles in the above committees and scheme I can transfer and apply to the AQMLM. I have gained a good network of Quality Managers in my role at Crosshouse Hospital and this could hopefully bring a new source of speakers and audience to AQMLM." Consultant Clinical Biochemist in the NHS. Awarded the OBE for services to Clinical Biochemistry (1996), Fellow of the RCPath (1998) and Emeritus Member of the ACB (1999). Recent awards include the ‘The Westgard Quality Award 2007’ and the IFCC’s Henry Wishinsky Award for Distinguished International Service (2008). Involved in CPA(UK)Ltd since its inception and currently a member of the Standards, Training and Education. Member of BSI/TC212, leader of the British delegation to ISO/TC 212 and co-leader of the ISO 15189 revision group. Member of the Standards and Accreditation Group of the European Federation of Clinical Chemistry (EFCC). Visiting lecturer/workshop leader in Australia, Europe, the Americas, the Caribbean and Middle East. Author of ‘A Practical Guide to Accreditation in Laboratory Medicine'. "Laboratory medicine in the NHS continues to face many new challenges, not least in the area of standards and accreditation and the establishment of ‘Quality standards’ – as set out in the Darzi and Carter reports. The importance of quality in the implementation of these reports is crucial, although sadly you will search in vain for recognition of the role of those who implement it. The formation of an ‘Association for Quality Management in Laboratory Medicine’, with its dual focus on analytical as well as process quality, is needed not only to offer opportunities for sharing experience and providing training and development, but also to raise the profile of this emerging speciality in laboratory medicine with Government. I am delighted to have been given the opportunity to support this exciting venture". Recently retired as Pathology (Group) Quality Manager for the Pathology Laboratories in University Hospitals Birmingham NHS Foundation Trust. Chair of the West Midlands Clinical Laboratory Quality Managers Association, having been a founder member and Chairman from it’s inception. Richard joined the NHS in 1969 then moved to London and became a junior MLSO. In 1974 he started on the road that led to a degree in Biochemistry at Sussex, a PhD in Cardiff and a post-doctoral research post in Cambridge. He joined the West Midlands Blood Transfusion Service (later part of the NBS) to start up both quality management and research & development and became a Grade ‘C’ Clinical Scientist and honorary lecturer at Birmingham University. He joined the CDS Group (TelePath) eventually as Head of Project Management, then after a spell in Clinical Governance became Quality Manager at UHB. In 2006 Richard was awarded a Fellowship with the Institute of Quality Assurance, which, with the grant of a Royal Charter became the Chartered Quality Institute. Richard is also a Chartered Quality Professional. "My particular interest is in process quality management. In a modern clinical laboratory environment evidence is key, evidence that you are doing a good job, and that you are engaging in quality improvement. Effective quality management supports the bottom line by aiding competitiveness and supports good clinical governance, not least because it covers your back. In this light quality managers are, I think, emerging as a professional laboratory grouping in their own right." Mr Alan Dench C.Biol., M.I.Biol. Alan has over 20 years experience in the pharmaceutical industry and NHS. Throughout his career he has developed expertise in the effective implementation and maintenance of quality systems within laboratories, clinics and manufacturing operations. As the former Quality Manager for the Regional Laboratory for Toxicology at City Hospital in Birmingham (2003-2008) he successfully managed the implementation and maintenance of the ISO17025 quality system standard, in addition to ensuring that the laboratory met its requirements to the CPA standard. His time is now divided between being Quality Manager for a medical device manufacturer, and providing independent quality management consultancy advice. He is also completing his MBA at Durham University. "I am fully supportive of the aims and aspirations of AQMLM which will be an excellent training and networking opportunity for those responsible for the implementation and maintenance of quality systems. I particularly consider that the AQMLM aim of bringing together both analytical and process quality is a vital attribute as it is clear that both are essential for an effective quality system." Derek was appointed Pathology Quality Manager for Somerset Pathology Service in 2005 (Taunton & Somerset NHS Foundation Trust & Yeovil District Hospital Foundation Trust) with responsibilities for clinical governance, risk and quality management across all disciplines within pathology. Derek has over 25 years’ experience working as a BMS in Clinical Chemistry, more recently specialising in Endocrinology and the Maternal AFP/Downs Screening program. He is also Chairman of the South West Quality managers discussion group who have met on a regular basis since 2005. The group aims to support quality managers and share best practice across the South West and South Wales. Mark was appointed to the post of Quality Manager for the Dept. of Clinical Chemistry at Birmingham Children’s Hospital in September 2009, with responsibility for the continuing implementation and further development of the department’s well-established Quality Management System. He commenced his career in the NHS in 1982 and has since worked in a number of laboratories, predominantly within the West Midlands, gaining considerable experience of a variety of settings and different approaches to the delivery of comprehensive Clinical Chemistry service. In April 2011, he became the AQMLM Regional Representative of the West Midlands Clinical Laboratory Quality Managers’ Association, which meets on a quarterly basis and acts as a support network for Quality Managers in the area, sharing ideas and action-centred learning. He has now stood down from this role to become a full Director of AQMLM.